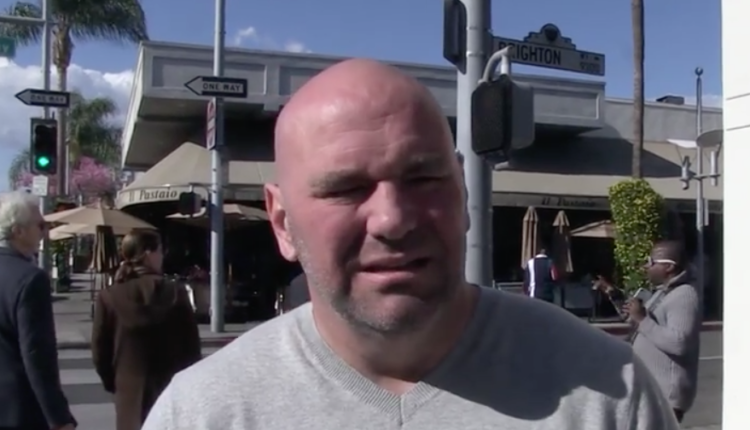 While Khabib Nurmagomedov’s uncle claims that Bellator has a blank check waiting for the UFC lightweight champion, UFC president Dana White has refuted it numerous times this week. Speaking to TMZ this week, White claimed that the issues between the champion and promotion have been worked out and that Khabib is staying with the UFC. 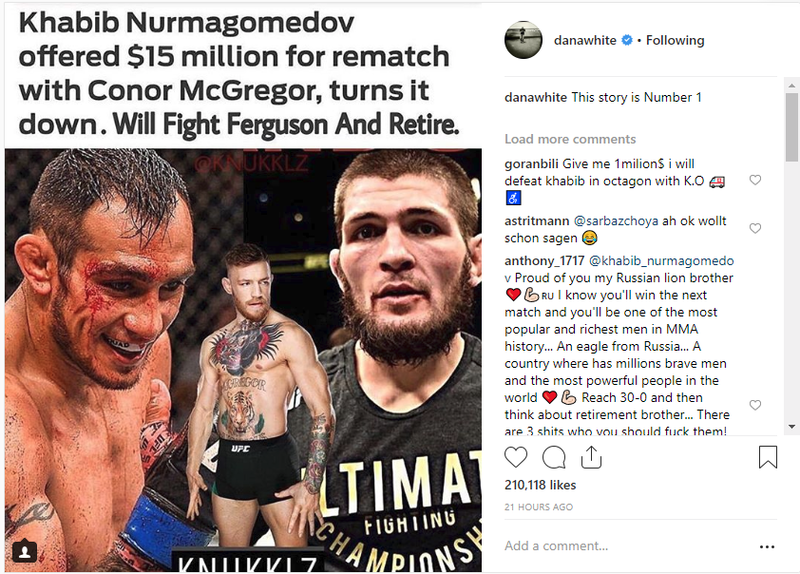 Yet on Tuesday, when White was given word about Alex Nurmagomedov’s interview regarding his nephew fighting Tony Ferguson and retiring or jumping to Bellator with eight of his teammates, White went off on Instagram. “This is number 1 bull***t” claimed White on social media. White has made it clear that he does not want to see Ferguson and Khabib try to fight one another for a fifth time after four cancellations including UFC 223 earlier this year.